Since the show Game of Thrones came out, a lot of people have been falling in love with animals that look like dire wolves and dragons. These magical looking creatures are turning into hot topics online, and what’s more interesting is that people are actually starting to become more aware about their existence. 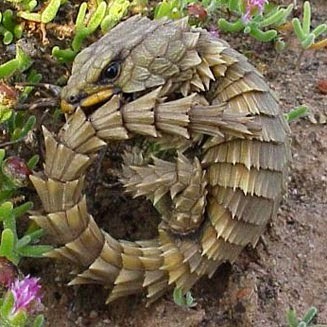 Take for example the Armadillo Girdled Lizard. 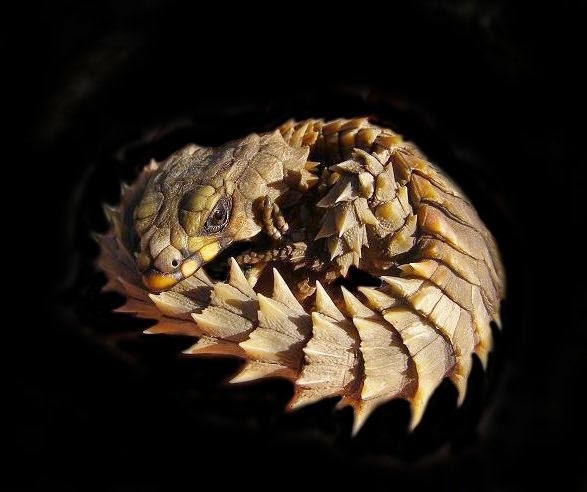 Also known as the Armadillo Spiny-tailed Lizard, Golden Armadillo Lizard, Armadillo Lizard and Girdled Lizard, this amazing little creature looks like a cross between an armadillo and a lizard, basically something that looks like a baby dragon. They’re only found in certain desert areas in South Africa. One of the most well-known characteristics of these lizards is that they have a unique defense strategy. They curl up into a ball by placing their tails into their mouths. They’re covered in strong, square scales and spines that act like armor. Curling into a ball confuses their predators while their spikes protect them from even more damage. Armadillo Girdled Lizards are actually very secretive creatures. 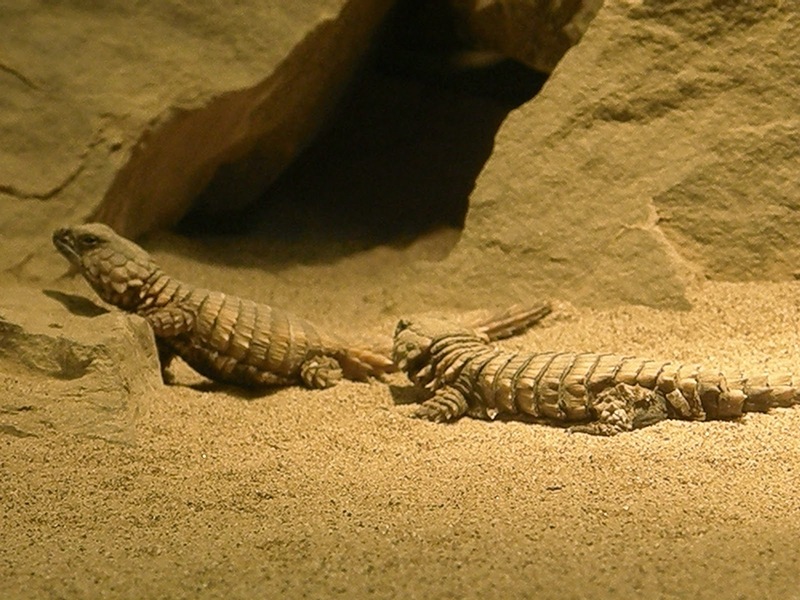 They spend a lot of time under rock crevices together with other Armadillo Lizards. They’re very social and live in groups. There have been records of Armadillo Lizards groups composing of more than 60 little lizards. As for food, they prefer to munch on little insects like spiders or crickets. However, termites are their favorite thing on the menu. Although a lot of people want to turn these little lizards into pets, they’re actually tagged as vulnerable in the conservation status.